Padel keeps growing at a fast pace in Holland. Courts are available in nearly every province of the country except one: Utrecht. But that is about to change with the opening of the first court in “Midden-Nederland” at Racket Centrum Houten. Racket Centrum Houten opened its doors nearly thirty six year ago and counts over three thousand members. Since its opening the center is recognized for offering the possibility to practice almost any type of racket sport available ranging from squash to tennis and badminton to wheelchair tennis. Padel comes to complete the offer of sports available. 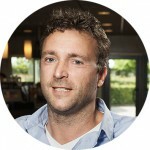 Marijn Koot, General Manager and owner since 2004 is a former physiotherapist and manager at Nike. : “…I like padel because it is a mix of squash and tennis. But its dynamics are quick…”. The sport caught his attention about five years ago and since then he kept an eye on it. Few months ago he decided that now is a good moment to invest in Padel and further grow his center. He sees a lot of potential in the sport. Koot: “I see a lot of potential for padel. A lot of consumers would like it. It is social and fast; it’s fun from the beginning”. Racket Centrum Houten will open one mobile padel court on August 29th and will offer free clinics during the month of September. Marijn plans to build two permanent padel courts in October and probably more in 2017. The center is open every day of the week from 9am till midnight.